Sunway Resort Hotel & Spa allows you to do just that! 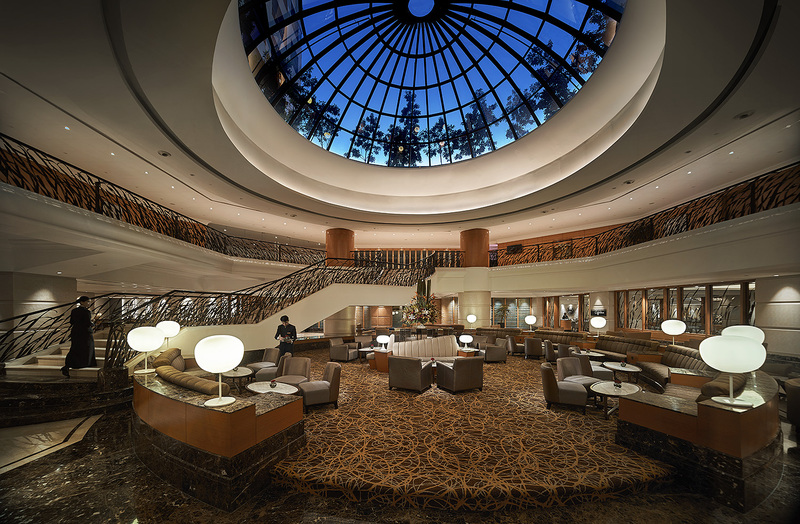 Coined as one of Kuala Lumpur's most iconic 5-star hotels, this hotel is right in the middle of Sunway City, a bustling and happening township. 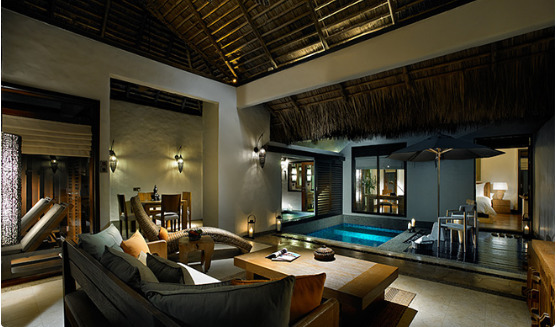 It boasts a collection of Premier guestrooms, Suites, and Villas with private plunge pools, all of which will ensure an enjoyable and luxurious experience. As the name suggests, Sunway Resort Hotel & Spa also offers spa treatments. After a long day of retail therapy at Sunway Pyramid Mall, which is conveniently connected to the hotel, pamper yourself further by getting a Balinese massage or by relaxing in a floral aromatherapy bath at the Mandara Spa. If that's your biggest concern, consider booking a room at Sunway Pyramid Hotel! This 4.5-star hotel features Deluxe guestrooms as well as family rooms, and family suites. The family suite shown above has one King Bed, two Queen Beds, and even two bathrooms! There will surely be ample space for you and your loved ones. The hotel is also right next to Sunway Pyramid shopping mall and Sunway Lagoon theme park. This means that a shopping spree or going on a thrilling adventure at the theme park will all be a stone's throw away, making your stay a fun-filled one! 3. Are you a thrill seeker looking to have an adrenaline rush on an adventurous holiday? Then staying at Sunway Clio Hotel will put you in close proximity to the one-stop place for fun, Sunway Lagoon Themepark! Situated in the central hub of Sunway City, this 4-star hotel is literally just steps away from the main entrance of Sunway Lagoon theme park. 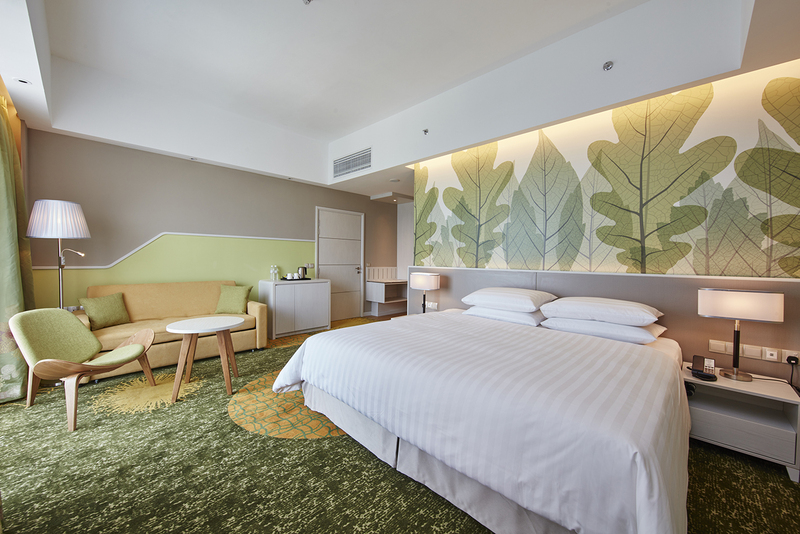 Sunway Clio Hotel offers Deluxe Plus guestrooms of various sizes, including the option to upgrade to a Deluxe Plus Executive Room for added space and comfort. 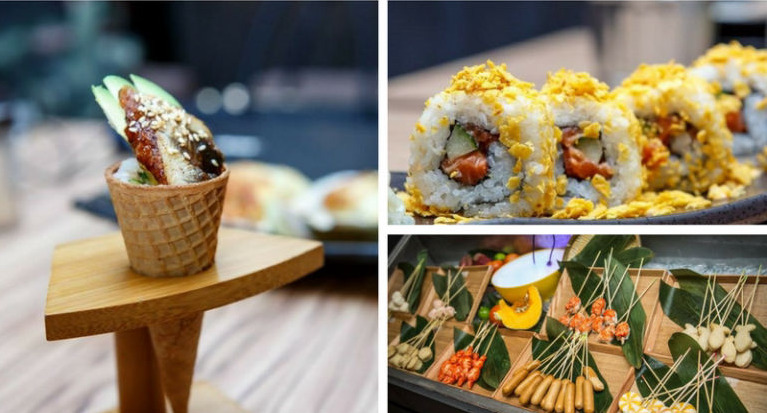 Also linked to the west precinct of Sunway Pyramid Mall, you'll be met with over 160 dining outlets, all of which offer tantalising food that will leave you spoiled for choice. If you find yourself worrying about that, staying at the Sunway Putra Hotel will give you peace of mind. This 5-star hotel is appropriate for those who want to get close to the buzz of the city life but still have a restful night's sleep after. Sunway Putra Hotel is also linked to the the all-new Sunway Putra Mall, where you can satisfy your food and entertainment cravings. 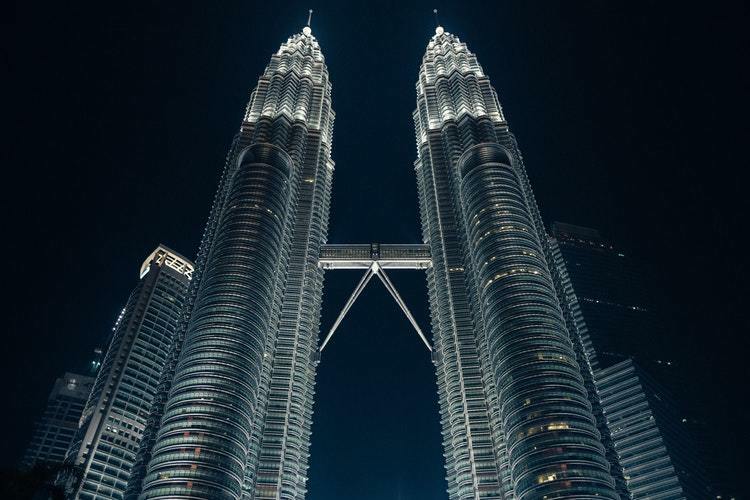 The hotel is also only less than 3 kilometres away from the renowned KLCC Twin Towers, and you can easily get there by hopping on the daily scheduled shuttle bus that takes you to KLCC directly from the hotel! From admiring the iconic landmark to shopping at the most prestigious retail destinations, going down to the heart of the city will certainly not be a wasted trip. 5. It's the middle of the day. You're trying to find something to do to kill time but don't want to travel far away from your hotel. If you're staying at Sunway Velocity Hotel, you wouldn't be in this dilemma at all! 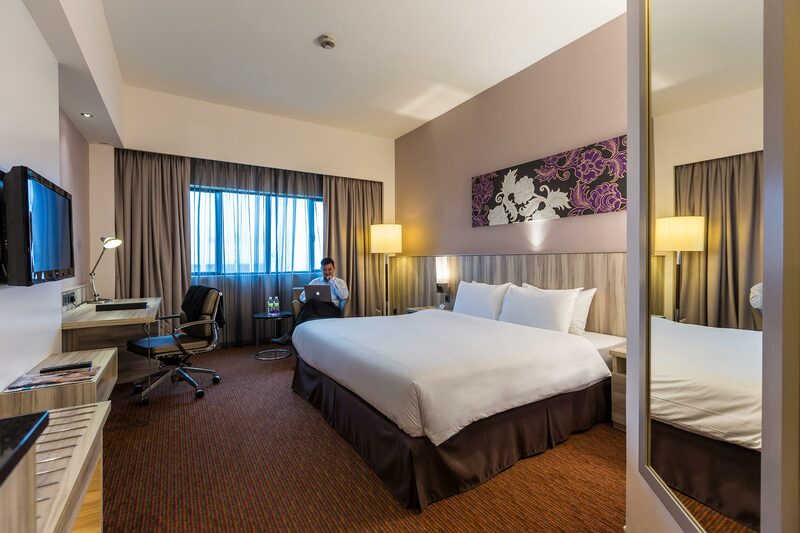 This hotel is directly connected to the Sunway Velocity Mall, a vibrant and well-equipped mall with all the essentials you would need, including a food street and a cinema. 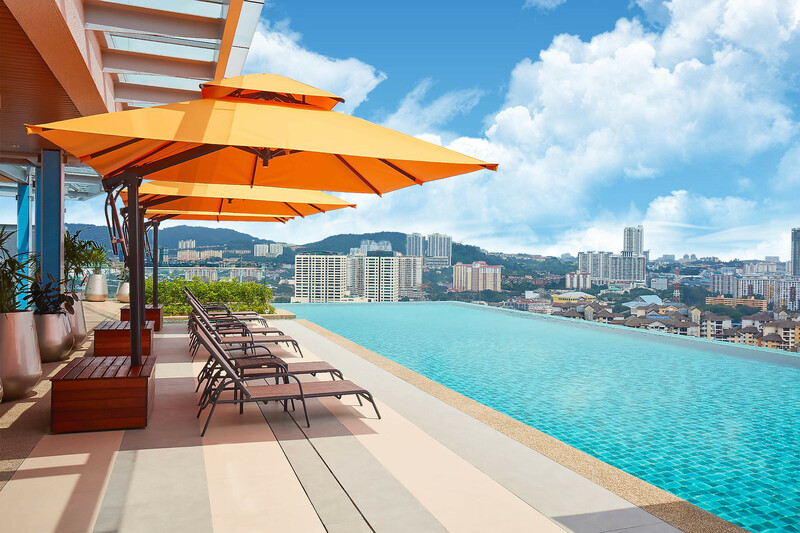 Take your R&R to a whole new level by lounging at Sunway Velocity Hotel's rooftop infinity swimming pool. To burn off all the holiday indulgence, head on over to the on-site 24-hour fitness centrer, where you can sweat it out any time of the day! At Sunway Hotel Georgetown, you can stuff yourself silly with all the scrumptious hawker food surrounding the hotel! Nestled in Penang's colourful capital city, this 4-star hotel is encompassed by shopping, entertainment, and food, such as New Lane, the famous hawker food paradise. It's the perfect place to rest and recuperate before going on another cultural adventure! Staying at the Sunway Hotel Georgetown also means that you will be in the immediate vicinity of many historical monuments, including the Kek Lok Si Temple, which is the largest Buddhist temple in Malaysia. Alternatively, you can go on a street art hunt and search for murals and artwork painted on old walls all across Georgetown. They make for fantastic photo opportunities! With Sunway Hotel Seberang Jaya ﻿strategically located in the center of Seberang Jaya, you will get easy access to the UNESCO World Heritage Site, eco nature tourist spots, and other commercial zones in Penang. 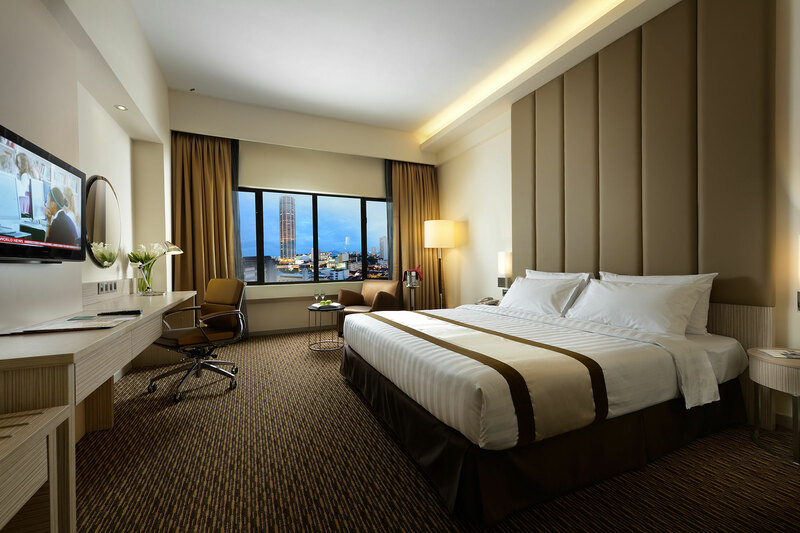 Sunway Hotel Seberang Jaya offers fully renovated Deluxe, Premier, and Club rooms, featuring new furnishing, bedding and linens, a wide range of facilities, and amenities upgrades. A notable attraction near the hotel is the Penang Bird Park, which is the first and largest bird park in Malaysia that is home to over 300 species of birds. Besides birds, other animals such as mouse-deers, pythons, giant estuarine crocodile, tortoises, and other species of wildlife are also exhibited in the park. Location: 11, Lebuh Tenggiri Dua, Pusat Bandar Seberang Jaya, Prai 13700 Penang, Malaysia. 8. Looking for somewhere to blow off some steam and rejuvenate your mind and body? The Banjaran Hotsprings Retreat, a luxurious spa sanctuary, is your answer! This resort is cradled by 260 million-year old towering Paleozoic limestone hills, verdant rainforests, rejuvenating geothermal hot springs, natural caves, and cascading waterfalls. With Garden, Water, and Lake villas, a pampering Spa and Wellness Centre, and a host of retreat experiences, The Banjaran Retreat is perfect for those who want to have a luxurious and therapeutic getaway. Dip into the Geothermal Hot Springs Dipping Pools to rejuvenate your body and soul, or take a stroll through the peaceful surroundings and breathe in the fresh, clean air. Be it finding inner peace at the Meditation Cave, or doing yoga at the Yoga Pavilion, you will certainly leave feeling a sense of bliss and tranquility. Sunway Hotels & Resorts aren't only in Malaysia, they're in Cambodia and Vietnam too! 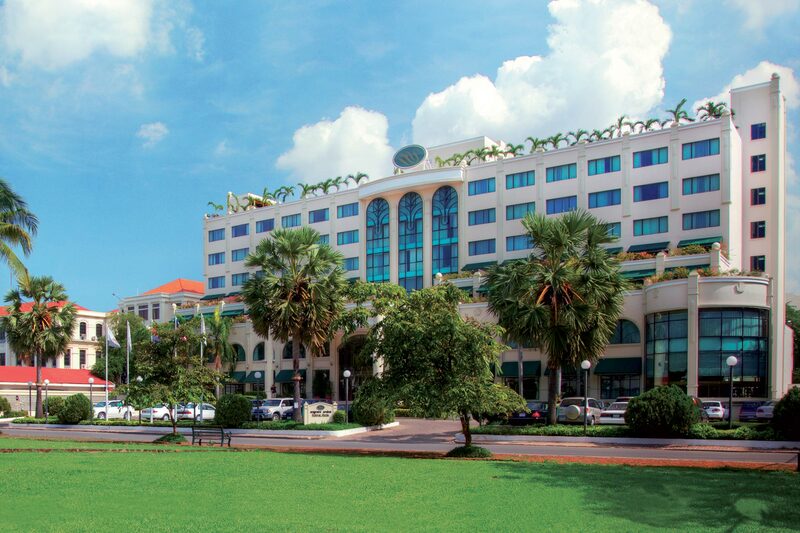 Sunway Hotel Phnom Penh is located in the heart of Phnom Penh’s capital city and within the vibrant Central Business District. This 4-star hotel is set amidst Phnom Penh’s most exclusive addresses, surrounded by historic landmarks, government offices, embassies, and magnificent boulevards. Pay a visit to the Royal Palace, purchase some Cambodian handicrafts from the Russian Market, or learn Cambodian history at the National Museum. You can easily access these places as they are all within walking distance or only a short drive away from the hotel. 10. Walking around in Vietnam is a great way to explore what the country has to offer! Staying at Sunway Hotel Hanoi allows you to do just that, because it is near many major commercial buildings and historical landmarks, with local attractions all within a few minutes stroll away. This stylish French chic hotel emphasises space and warmth, featuring natural light with a rose-infused color palette. The warm glow emitted from the over head lamps and classic chandeliers brings about a cozy feeling, making you feel immediately at home. A 10-minute walk from this hotel can bring you to the legendary Hoan Kiem Lake, St. Joseph's Cathedral, Thang Long Water Puppet Theatre, and The Opera House. Don't wait any longer, book your next vacation with Sunway Hotels & Resorts!